If you’re seeking a streamlined and design-friendly wall mounted fan for your home, new development or business, Mercator is the ideal provider for you. Boasting over 55 years of hands-on experience designing the highest quality products, we have suppliers all around Australia so you can ensure you’re never too far away from your newest design element. Our range of carefully designed wall fans match form with function to create a stylish fan option that moves air through any space. 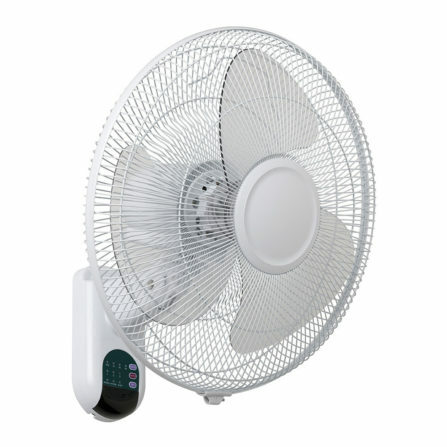 Available in a range of sizes and styles, and available in oscillating or non-oscillating options, you’re sure to find the exact fan to suit what you need. What’s more, we don’t just design solutions for inside the home. 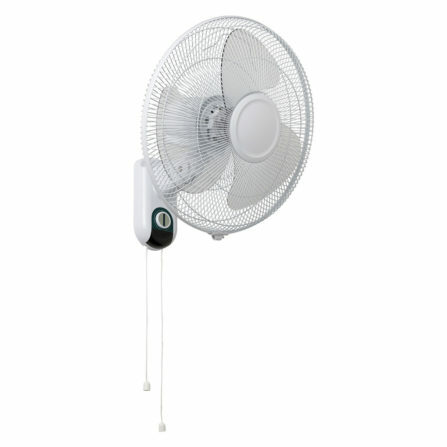 Browse our ranges of outdoor fans that withstand harsh weather conditions, or powerful industrial wall mount fans that comply to the strictest standards. Yes, each of our products is manufactured with the utmost attention to detail. But the attention doesn’t stop there; we infuse the level of detail we’re known for into every step of our supply chain. Mercator is a family-owned company, and it shows. Our family values of trust and integrity are apparent in everything we do, whether that’s manufacturing a new product line, explaining your diverse product options for your home, or installing a new product with grace and efficiency. Your happiness is our number one objective, and we want to ensure you get the most out of each and every interaction with us. Part of our happiness guarantee is providing a warranty on every product you purchase from Mercator, including ceiling fans, wall fans, lighting and remote controls. The warranty ensures you make a stress-free purchase and that you can continue to enjoy your new fan or lighting product well into the future. After all, you want to get the utmost value for money. And we’ll help you get it. If you have your eye on a specific product on our website, or simply want to check out the range in person, feel free to drop into one of the many certified showrooms located across Australia. With hundreds of convenient locations and hundreds of customer service staff who have an in-depth knowledge of our products, it couldn’t be simpler to buy Mercator.